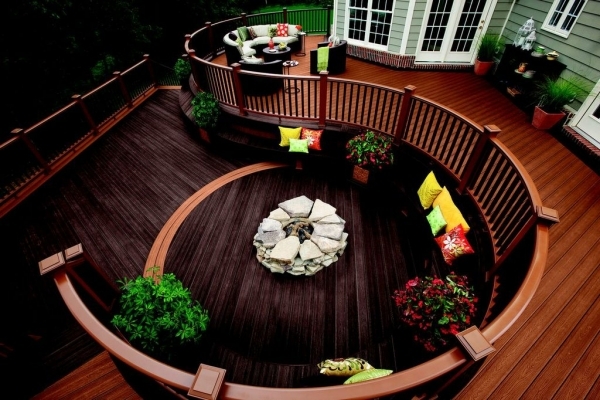 Decking makes for a lovely addition to any home. McLeod Home Building Centre in Spruce Grove offers flexible decking in Edmonton to suit your needs. If you're looking to expand your home, consider a high quality deck. With so many design and material choices, we can help you build a comfortable extended living space that seamlessly complements your home's architecture. A new deck makes sense for a variety of reasons. First of all, it will instantly increase your living space and create the perfect outdoor area for entertaining, cooking and simply relaxing. This extra space is not only good for your family, it’s also good for your property value. Much like a kitchen or bathroom renovation, adding a deck is a great way to add value to your home. You can expect to get a high return on your investment when the time comes to sell. McLeod Home Building Centre has the materials and experienced staff to make your deck a reality. We carry treated lumber, railing systems and the innovative composite decking materials from Trex®. If you are considering a wood alternative, you will enjoy the lasting beauty of our Trex® products, which require very little maintenance. If you have a question on what materials to use or how often to stain, our knowledgeable team is here to help. We will provide the guidance you need for every phase of the project. Stop by and see us today to get your decking in Edmonton started.